Dr. Richard H. Thornton, 1907 alumnus of University of Lynchburg, was a distinguished teacher, writer, and publisher. He became president of Henry Holt and Company publishers and established friendships with such writers as Carl Sandburg, Thomas Wolfe, and Vachel Lindsay. He was both editor and friend to Robert Frost. Since 1975 the endowment established in his name has made it possible for us to bring some of the most exciting and successful poets, novelists, dramatists, and nonfiction writers of our time to the College. These writers have taught classes, given readings, and enriched the cultural life of the campus. Thursday, Sept. 27, 2018 at 7:30 p.m.
Jessie van Eerden, a West Virginia native, holds a BA in English from West Virginia University and an MFA in nonfiction writing from the University of Iowa. She was selected as the 2007-2008 Milton Fellow with Image and Seattle Pacific University for work on her first novel, Glorybound (WordFarm, 2012) and was the winner of ForeWord Reviews’ 2012 Editor’s Choice Fiction Prize. Her second novel, My Radio Radio, is published by Vandalia Press (2016), and her collection of portrait essays, The Long Weeping, is published by Orison Books (2017). 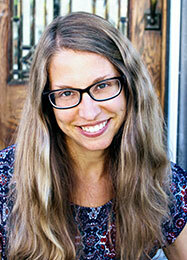 Jessie lives in West Virginia where she directs the low-residency MFA writing program of West Virginia Wesleyan College. For more information visit http://www.jessievaneerden.com. Tuesday, Oct. 16, 2018 at 7:30 p.m.
Anne Panning was born and raised in the small town of Arlington, Minnesota. After graduating from Augsburg College, she served as a Peace Corp volunteer for two years in the Philippines. In 1997 she moved to Brockport, New York, where she currently lives with her husband, Mark Rice, and her two children, Hudson and Lily. Anne’s memoir, Dragonfly Notes: On Distance and Loss, has just been published by Stillhouse Press. Her novel Butter was published by Switchgrass Books in 2012. She has published two short story collections, The Price of Eggs (1992) and Super America (2007), the latter of which won the 2006 Flannery O’Connor Award for Short Fiction and was selected as a New York Times Editor’s Choice. Anne has also published short fiction and nonfiction in places such as The Kenyon Review, Prairie Schooner, New Letters, Passages North, Black Warrior Review, Alaska Quarterly Review, Quarterly West, Five Points, The Greensboro Review, The Hawaii Review, Newsweek International, Kalliope, West Branch, Phoebe, Fourth Genre, and many others. In 2009, she was honored as New York Professor of the Year by the Carnegie Foundation. She has also been honored with The Chancellor’s Award for Excellence in Teaching by SUNY-Brockport in 2006. 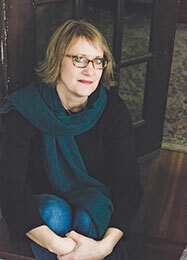 She is currently a Professor of English at SUNY-Brockport and Co-Director of The Brockport Writers Forum reading series. From her front porch in Brockport, Anne can watch boat traffic pass along the Erie Canal. While she is a happy transplant to the area, she always misses Minnesota and still considers it home. For more information visit http://www.annepanning.com/. Thornton writers commonly visit campus for one or two days. The centerpiece of such visits is a public reading or lecture. Writers also frequently meet with classes or conduct workshops for students interested in creative writing. All readings are sponsored by The Richard H. Thornton Endowment in English and the School of Humanities and Social Sciences.